It seems that SEGA/Atlus can’t catch a break from these early leaks, at least lately. Just the other day the Bayonetta/Vanquish double pack and Shenmue I & II HD Remasters got leaked via retailers. 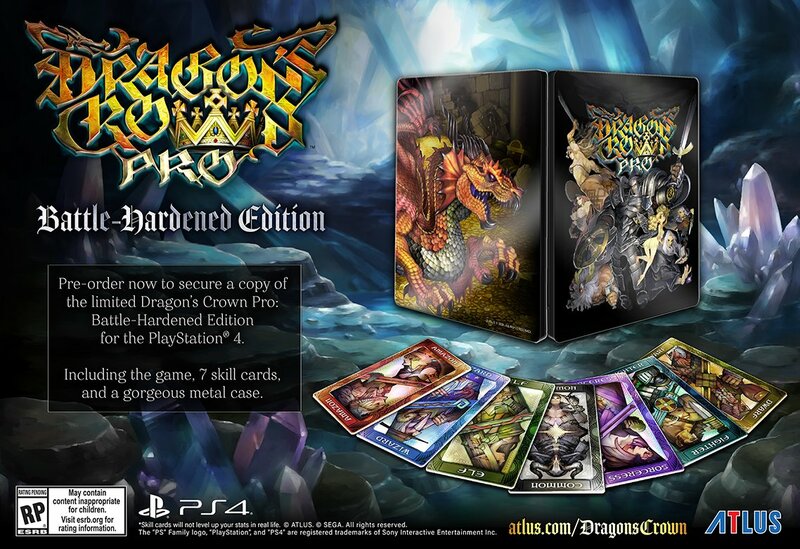 Now it seems that Atlus has a port of Dragon’s Crown in the works for PlayStation 4.The game was leaked via the banner below that was posted on Atlus’ Tokyo Game Show 2017 NicoNico Live steaming page and was was suppose to be promoting a ‘limited edition’ version of Dragon’s Crown for PlayStation 4. 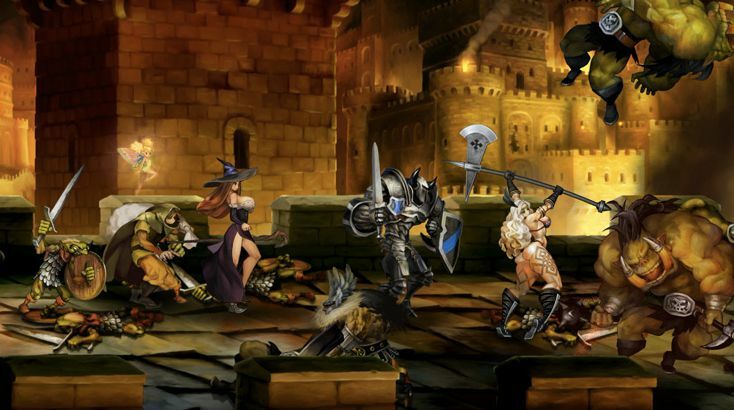 Obviously Dragon’s Crown came out for the PlayStation 3 and PlayStation Vita back in 2013. So this will probably be a port of that game. Not surprising considering that Atlus and Vanillaware also brought the then PlayStation 2 exclusive Odin Sphere to modern Sony consoles. I’m sure a beat ’em up game like Dragon’s Crown would do well on the PlayStation 4. What are your thoughts on this leak? 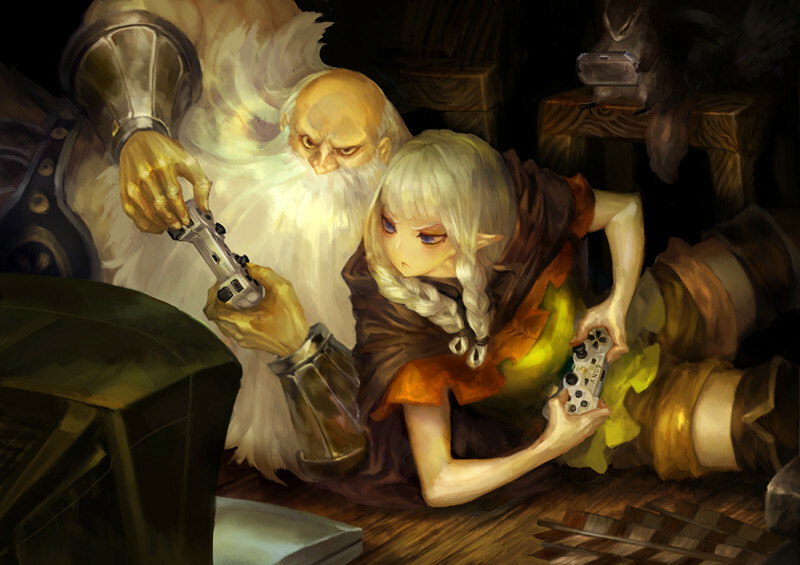 Would you buy Dragon’s Crown on a current generation system? Atlus has just announced that Odin Sphere Leifthrasir will launch for Playstation 4, Playstation 3, and Playstation Vita in North America on June 7, 2015. This means it will come out a mere 5 months after it hits Japan. The standard package will include a 64-page softcover art book, which will come with all regular first print copies of the game. 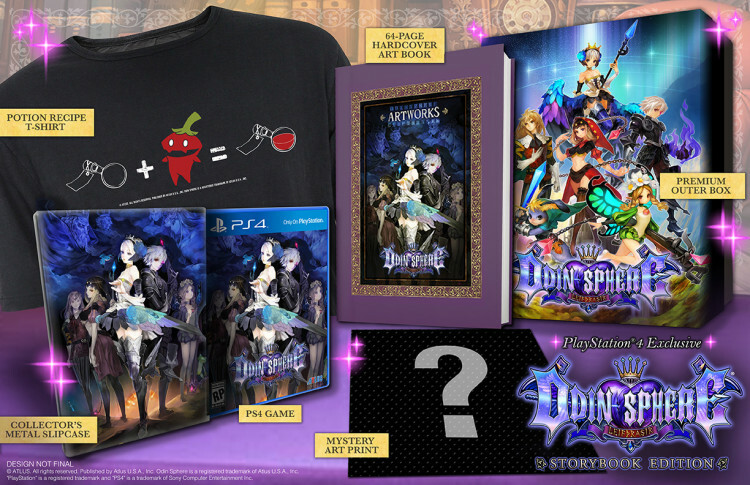 A hardcover version will come exclusively to the Playstation 4 as the “Storybook Edition” which is a premium version that will include a Potion Recipe t-shirt, metal slipcase, art print, and premium outer packaging (see photo above). The standard game will cost you $59.99 on consoles, $39.99 on Playstation Vita. The Storybook Edition on Playstation 4 will run you $79.99. If you haven’t played Odin Sphere before, I suggest giving it a try, especially when the Japanese demo hits North American PSN. The Tokyo Game Show 2015 reveals keep coming as we now have the an official title for the once secret game from Vanillaware and published by Atlus titled Thirteen Mecha Soldier Defense Zone. 13 Sentinels: Aegis Rim, the official title, is an upcoming giant mech game due out for PS4 & Vita. As evidenced by the trailer and screenshots, the game features 3D environments and mechs and 2D hand drawn characters. The result is lovely, as the game looks like a drawing come to life. The game is currently only announced for Japan, but we would not be surprised if it made its way West. After the break, check out screens from the game and stay tuned to SEGAbits for more information on 13 Sentinels: Aegis Rim as we hear it! We posted earlier about Atlus and Vanillaware doing Odin Sphere Leifdrasir, a HD remake of the Playstation 2 game in HD and on PS3, PS4 and PS Vita. But that isn’t all they have in store for gamers, the companies have unleashed the teaser above. Atlus and Vanillaware gained a working relationship (working on a game together) when they co-developed Dragon’s Crown in 2013. This could be Dragon’s Crown 2, but seeing the visuals in the trailer its leading me to believe it might be a brand new IP. What do you guys think? The game will get more details in September, catch it at TGS most likely. The upcoming Playstation 3 and Playstation Vita game by Vanillaware started life as a Dreamcast game. Famitsu had a 4 page interview with director George Kamitani. The project started about 13 years ago after the team released their SEGA Saturn title “Princess Crown” (Published and developed under the Atlus banner). This game was supposed to be its successor on the Dreamcast. George Kamitani says games like Golden Axe and King of Dragon have influenced this game greatly, and has confirmed 4 player co-op. Feels good seeing people finish up Dreamcast projects, even if they’re not on Dreamcast. How about we get a polished up version of some of these great canceled DC games?